Wor. Heisner has been a Mason since 1968 and was initiated, passed and raised in Eugene Lodge No. 11, Eugene OR. He served as Master of Amity Lodge No. 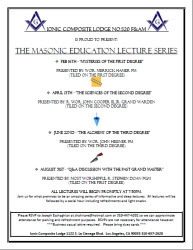 442 in 2004; was Venerable Master of the San Diego Scottish Rite’s Lodge of Perfection in 2009; is a founding member of Lux Lodge – a European style lodge; founding member of the Masonic Society; member of all York Rite bodies; 2011 Sovereign of the San Diego Conclave, Knights of the red cross of Constantine; member of Al Bahr Shrine; winner of 3 Albert Pike awards for ritual excellence; Trustee for the California Masonic Homes; former member of the California Grand Lodge’s jurisprudence committee; former member of the California Grand Lodge’s research committee; member of the Southern California Research Lodge; member of the Northern California Research Lodge; Director of the Board of Directors, St. Jude’s Research Hospital, San Diego Chapter; Director, Board of Directors for the San Diego Maritime Museum; Past President and Director of the APS Foundation; and Past President and Director of The Landing Homeowner’s Association. Wor. 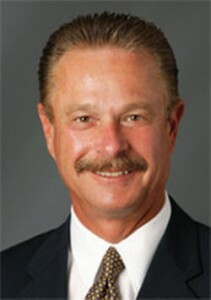 Heisner is a practicing attorney in California since 1973. He is currently the Chair of the Litigation department for the law firm of Sullivan Hill Lewin Rez & Engel. His practice emphasizes complex commercial litigation, trade secrets, real estate and probate litigation. He has tied over 100 jury trials during his career, served as a prosecutor for 13 years and received an award from the US Marshal for his work investigating and prosecuting organized crime figures and corrupt public officials. He currently also serves as an adjunct professor at the University of San Diego School of Law. Wor. Heisner’s wife, Margo, is a former police officer with the San Diego Police department and served as a Grand Juror in 2010 in the San Diego County “Blue Ribbon” Grand Jury. He and Margo have four adult children and eight grandchildren. They have resided together in Coronado since 2001.